I think that IfItWereMyHome.com needs to work on its tracing of the UK. It’s hard to call anything “breakaway” when the combined current ages of the proponents would put them born in the same week as Lord Rayleigh. 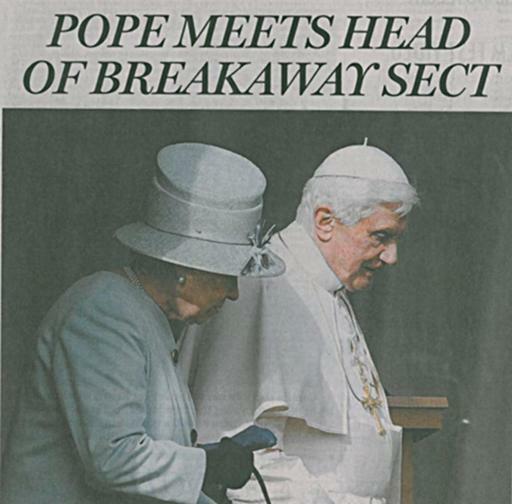 The major schism would be over who had the more outlandish hat: radar station vs lampshade. We are not here in this world to find elegant solutions, pregnant with initiative, or to serve the ways and modes of profitable progress. No, we are here to provide for all those who are weaker and hungrier, more battered and crippled than ourselves. That is our only certain good and great purpose on earth, and if you ask me about those insoluble economic problems that may arise if the top is deprived of their initiative, I would answer ‘To hell with them.’ The top is greedy and mean and will always find a way to take care of themselves. They always do. i wonder if these are as bad as i remember? 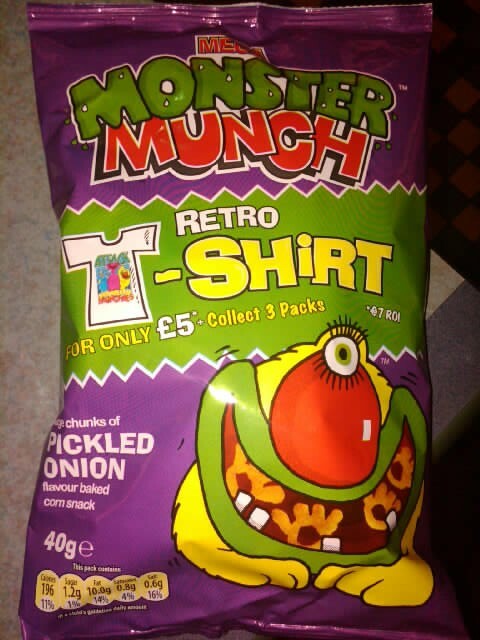 Ladies and germs, I give you … pickled onion Monster Munch. Let me get back to you on how they taste. 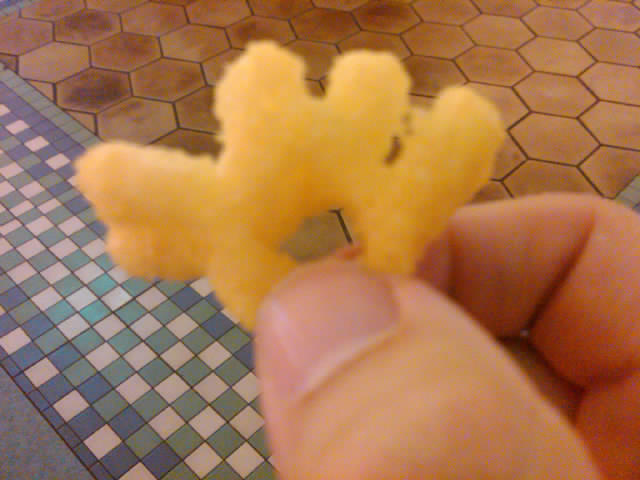 … deep fried barf is the best I can come up with. Crispy, yet vile. By the end of the bag, my tastebuds gave in, leaving me to lever the compressed corn pulp from my molars. 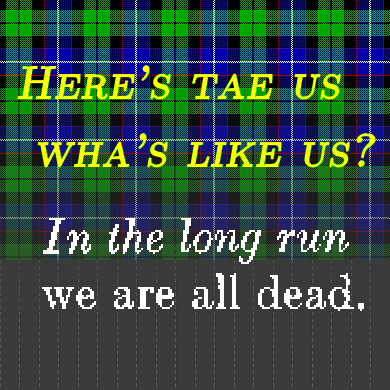 It feels like I’ve ScotchGarded the inside of my mouth. Just as I remember them, then. Author scrussPosted on 02009-12-19 02009-12-19 Categories the old countryTags crisps, nasty, UKLeave a comment on i wonder if these are as bad as i remember? The Energy Saving Trust field trial of domestic wind turbines pretty much calls time on rooftop wind on the UK. Paul Gipe is less than impressed with the content and findings of the report. Given that the UK had some horrible wind storms this week, I wonder how the wind farms stood up? 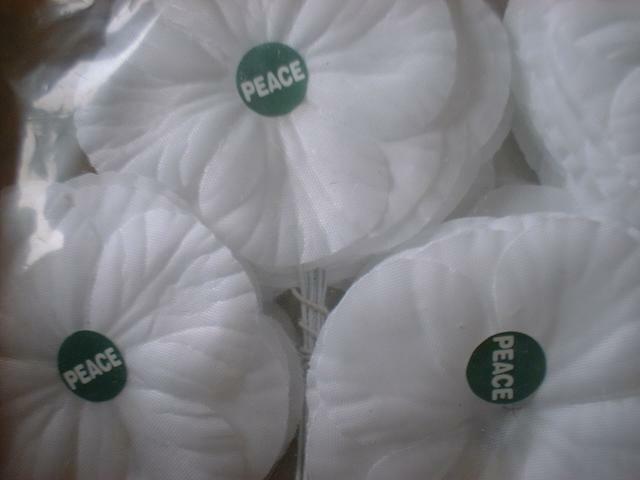 This year, unlike 2004, I’ll have White Poppies for sale at Toronto Quaker Meeting.